My essay, "New World Order Francis: The Ultimate Black Pope," has experienced thousands of readers. If you haven't read it, please see here. 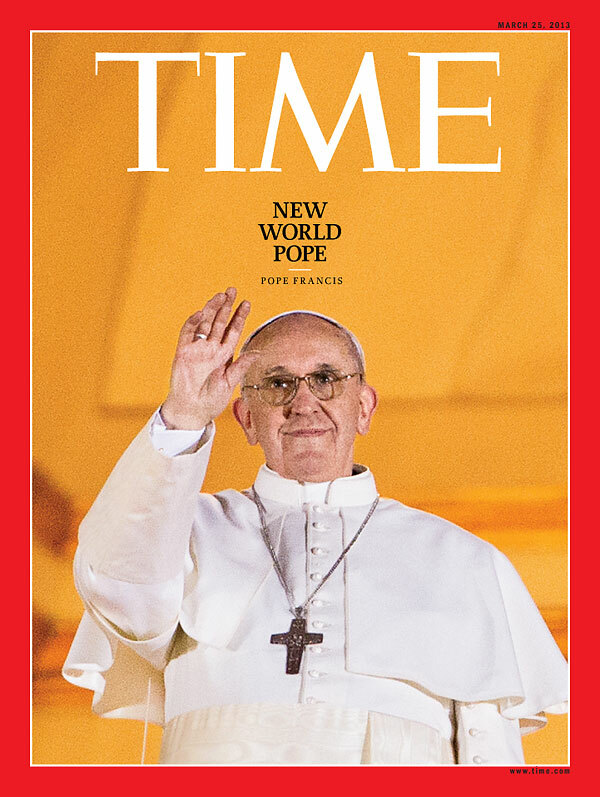 By coincidence, this is the cover of Time Magazine that appeared shortly after my article. 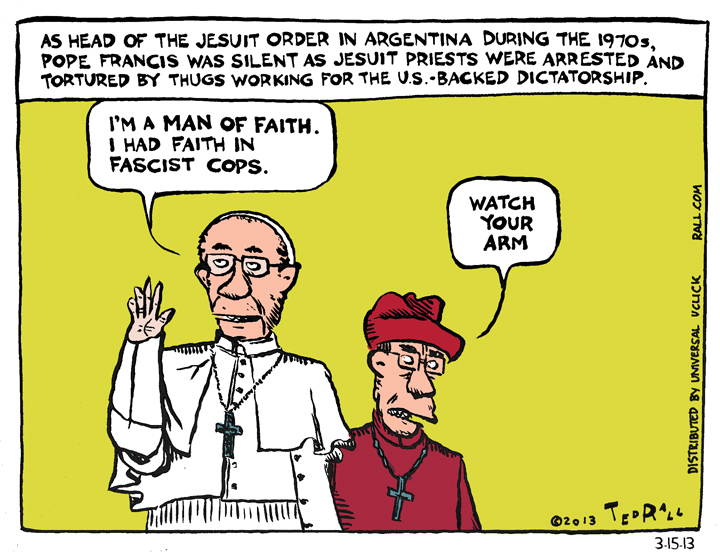 Also, it should be noted that the "Dirty War" past of the new Pope Francis keeps creeping into the commentaries. See here, here, and here. I must say, I wish that the apparent mainstream media's overt picture of Pope Francis as a humble Vicar of the poor and downtrodden is true. However, there are clouds on the horizon in his cryptopolitical and homophobic history from Argentina. 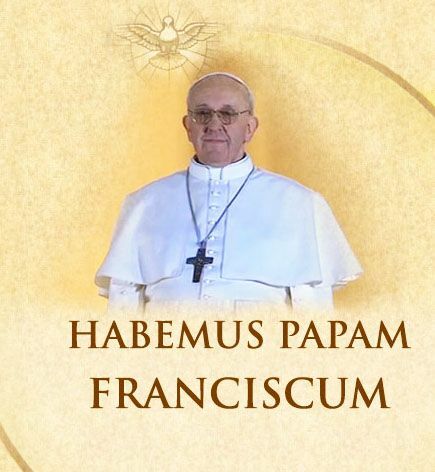 “Anyone who does not pray to the Lord prays to the devil,” Francis said, quoting Leon Bloy, a French writer who died in 1917, and who converted from agnosticism to Catholicism. 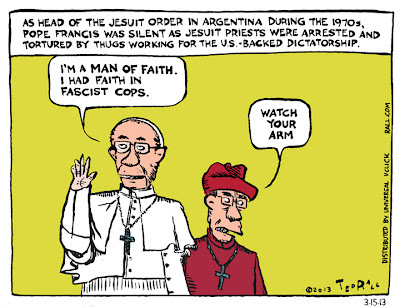 ~ Pope Francis, 14 March 2013. Off topic: ritualistic dog killings in Idaho, note the twilight language.